I have spent over $30 on lobster rolls this past weekend. 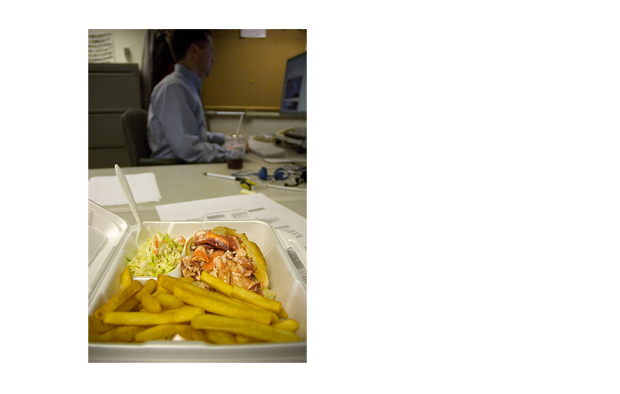 On Jan. 17th 2008, my friend Rich Barton and I ate the last 2 lobster rolls that Damons (an old sandwich shop) would serve for months. Before we could even sit down they took the "lobster roll" sign off the menu. After seeing lobsters for sale in an Augusta Maine parking lot Friday afternoon I phoned Damons to see if they had lobster roll yet, this season. They said "Not yet." So, I called the Senator Inn and ordered a lobster club. 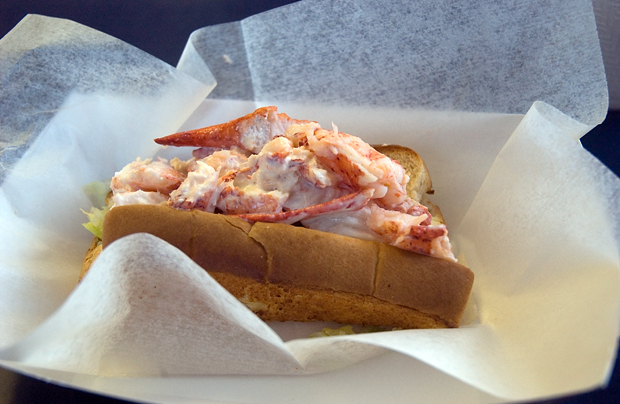 Saturday, when I called Damons, I was extremely happy to learn they had lobstah rolls! I ordered a lobster platter and ate it on my desk at work. /Hobo sign for lobster/ On the way to work I couldn't help but to order another lobster roll. I mean, I don't really have the money to be eating lobster rolls, but they are awesome! People become economically trapped in Maine this way.